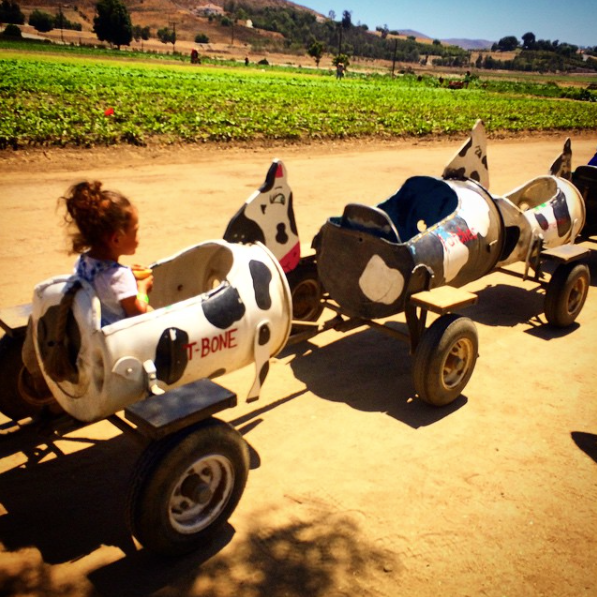 September | 2015 | Quintessential Jill: Life discoveries of a happy go lucky Californian. Back to the future. Literally. 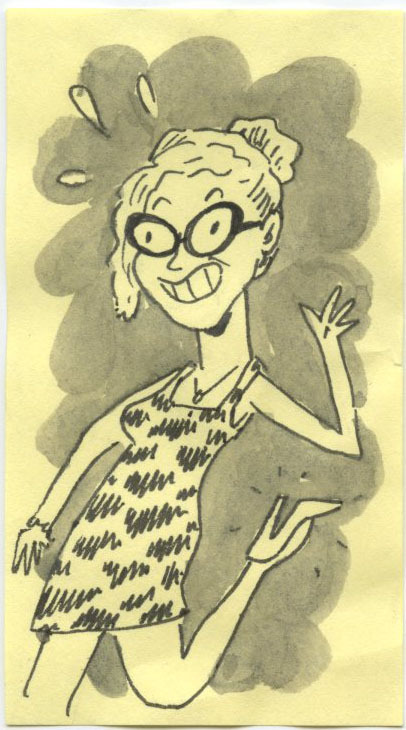 Midwest summers were a magical time for me. Hot humid days with an underscore of crickets and refreshing evenings lit by fireflies. No obstacles to deter my unbounded imagination. This year, 2015, marks the 30th anniversary of one of my all time favorite films, Back To The Future. I remember the first time I ever saw the movie. My best friend Charlotte and I spent all day swimming and playing at the Oakwood Country Club. We started by laying out poolside, dousing ourselves with Bain De Soliel #4. We had lunch at the “Snack Bar”. Followed by 40 minutes or so of watching MTV for an air conditioned break in the club’s “Living Room”. Then more lounging poolside, including many moments of jumping in the water and splashing around while talking. Ahhh life as a youngster was so great. Around 5 PM my mom asked if we would like her to drop us off at a movie. That’s when we decided to see Back to the Future. I’ve always enjoyed movies, but Back To The Future is particularly special to me. It was after that night I concocted this cockamamie idea that I would one day move to LA and mary Michael J Fox. Hahaha. But it wasn’t just a crush on him. The movie was so well done that I call the viewing date a “red letter date” in my history (to quote doc brown). I had been transported into another world and lived an adventure that normally couldn’t have been lived (I think this happens more easily for us overly-empathetic folk). The seed had been planted. 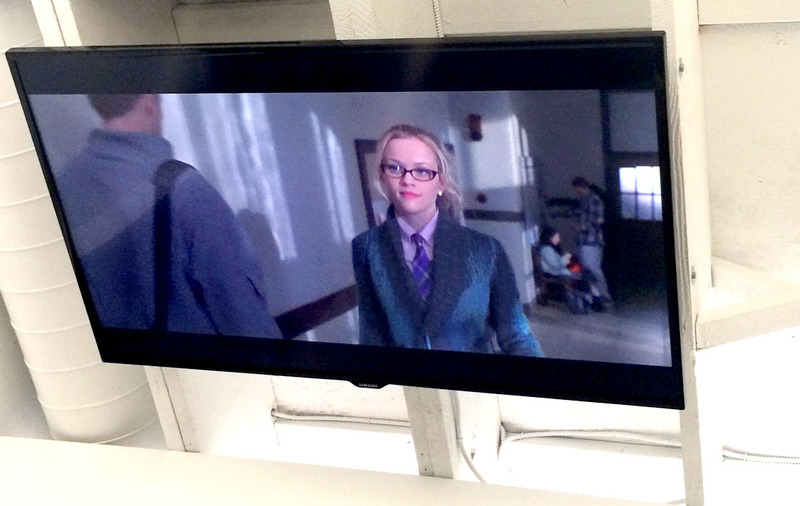 I knew I wanted to somehow be involved in making films like these. Films that offer an escape, inspiration, education, and most importantly, Magic. Last Saturday night the Michael J. 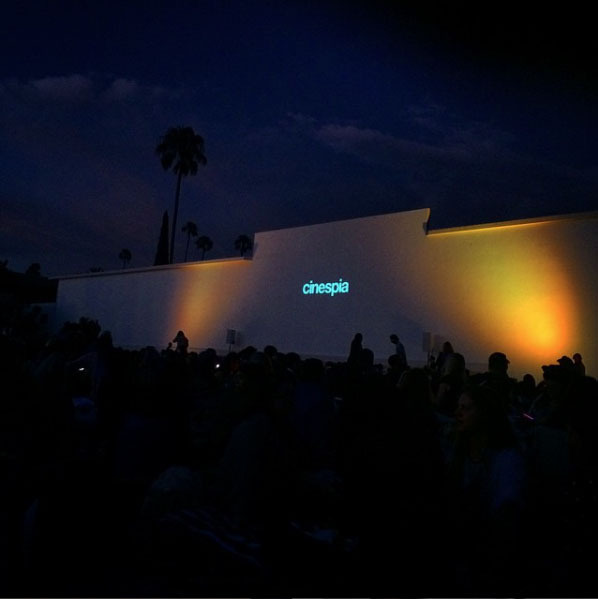 Fox foundation and Cinespia (one of my favorite summer activities- outside air and movies?! I mean can it get any better??) joined forces to throw a benefit double feature screening of Back To The Future and its sequel, Back to the future 2 (don’t get me started on that one :P). There was no way I was missing out on this. Ventura Spirits is an LA based company that distills unique foods into Vodka. 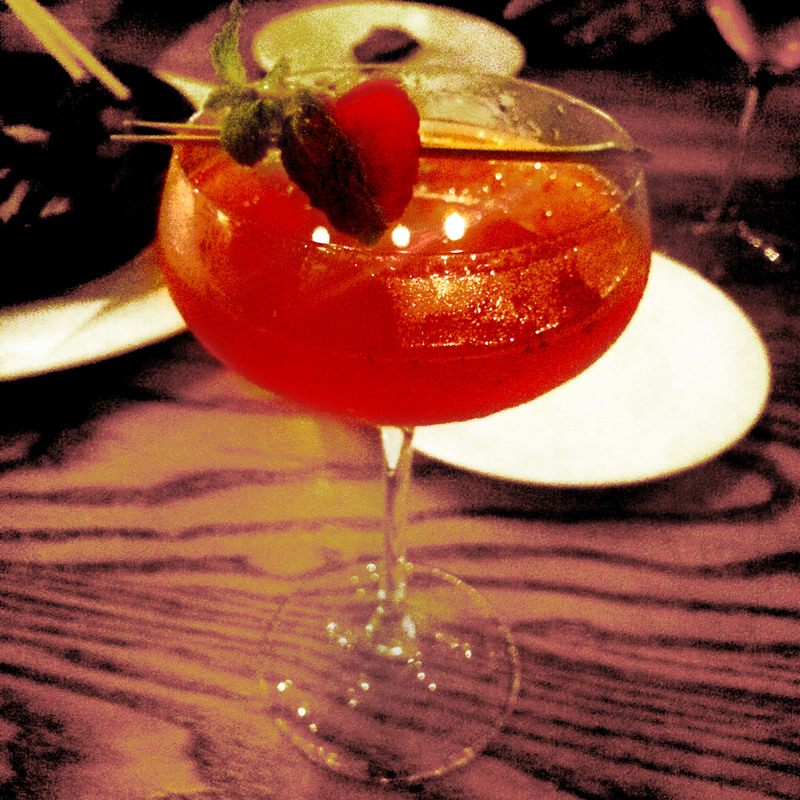 At this event, specialty drinks were made with vodka distilled from strawberries. It was very sweet. 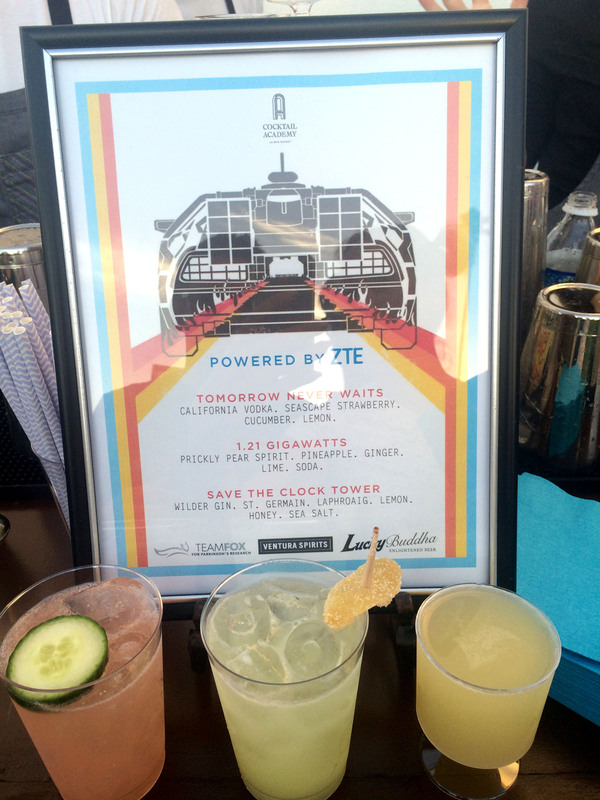 I actually preferred the 1.21 Gigawatts drink- somewhat like a moscow mule, but less sweet. But I love how this company makes creative vodkas :). The whole night was like being transported back to 1985. It was our own journey of time travel 🙂 and it was SO MUCH FUN. The DJ was awesome. On the lawn we bumped into old friends and work colleagues. We danced to songs from the movie soundtrack and fun hits from the 80’s like New Edition’s Cool It Now and a newly mixed rendition of Human League’s Don’t You Want Me Baby. 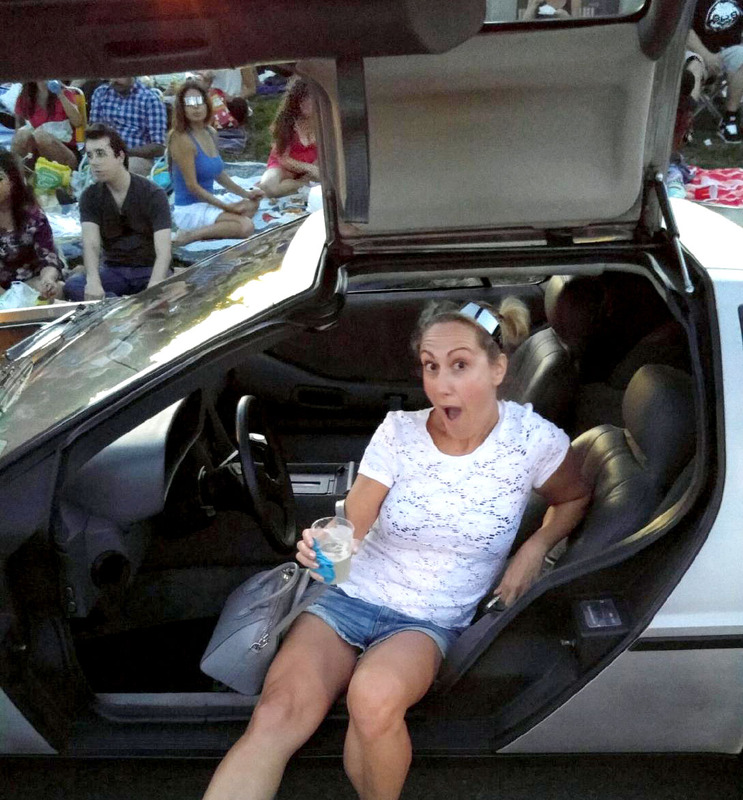 We had our picture taken in a DeLorean. The open bar was delish. 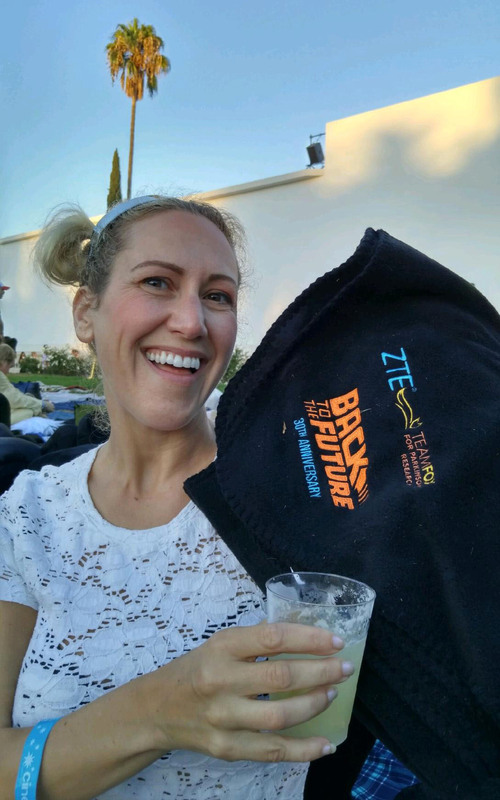 And since we were in the VIP section MSM and I were gifted soft and warm 30th anniversary Back to the Future blankets, which I love. I always love new throws. So soft and cuddly. They came in handy as the night air kissed the sky and a cool thin layer of condensation draped our skin. Futuristic fun glasses were also a gift for us (pushed up on my head). Once the sun set the entire lot of us situated ourselves on large blankets that enveloped the lawn. We picnicked and relaxed under the stars as we watched the films. Its amazing how the movie still holds up. The humor plays, the acting is incredible. Yes, MJF and Christopher Lloyd are great but as a kid I never realized the incredible talents of Krispin Glover and Emma Thompson. The movie felt like it ended right when it started. The pacing is perfect. The editing was so strong I literally was sucked into the story, re-living the adventure. The best news? While we were having all this fun, $100K was raised for The Fox Foundation/Parkinson’s research to find a cure!!! At the end of the night we were all transported back to 2015. I love how watching that movie made me feel like I took a time machine to 1985 (omg! Hot Tub Time Machine! Another great one!). 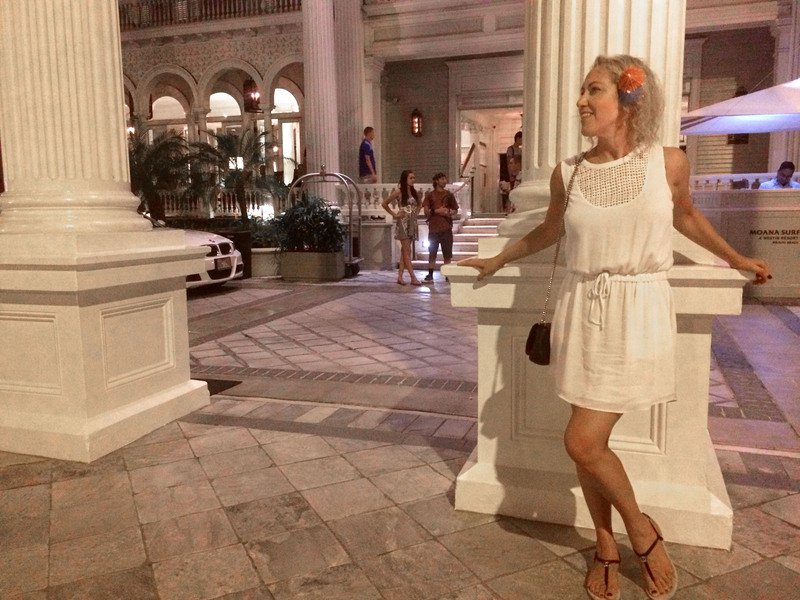 What to wear to al fresco movie screening? Even when its 102 degrees during the day, it gets cool at night. Believe me. Hello DeLorean. Are you a time machine? There were only a few of these made before they were taken off the market. I’m not too sure about the actual history. There were four at this event. Three we could sit in and one that was dressed to look exactly like the one in the movie. The latter DeLorean was used for the photo booth where a professional photographer lit and photographed the guests for take home prints. To read about Cinespia, or purchase tickets, click here: CINESPIA Scroll to the bottom of the home page to read all about the organization. I have to admit, I only own four rompers, so I was a little curious where I’d get the 5th one to photograph (Uh oh. Looks like next summer I’ll have to add a 5th to my wardrobe. Danielle…..). 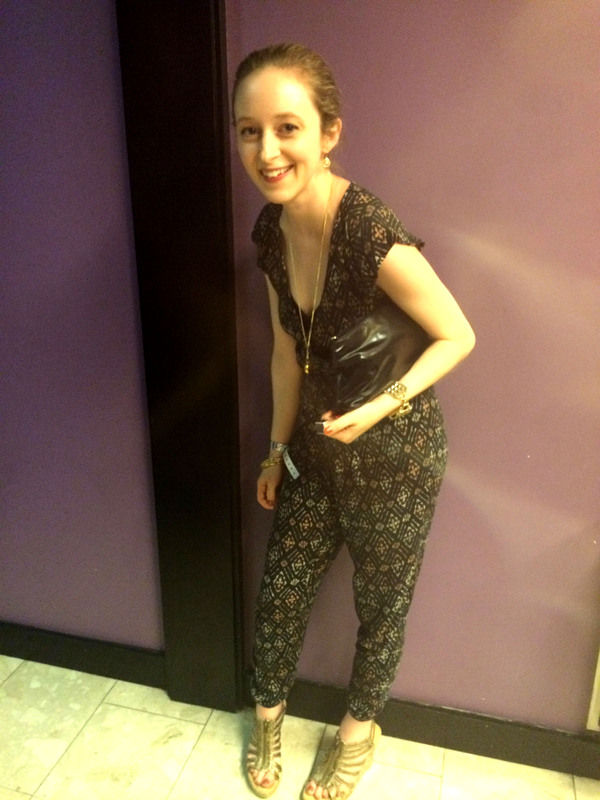 Luckily I met a friendly young lady in the bathroom at Nobu in Waikiki who was wearing a jumpsuit (close enough). As we bonded over both living in Los Angeles, she was gracious enough to let me photograph her outfit for my blog. This adorable young lady allowed me to take a picture of her casual yet sophisticated jumper. She said “this old thing” is from Aeropostle. I love how a jumper or romper can go from casual to dressy just by adding the right accessories and shoes. Makes packing so much easier! I’m rather lucky for a lot of reasons, one being MSM just happens to be a close friend to the general manager for Nobu. I’ve been blessed with the honor of eating at three Nobu locations; Hollywood, the old Malibu location, and now Waikiki. Anyone I know that has eaten at Nobu (anywhere) has loved it, but I usually have a hard time ordering because a soy allergy and Japanese food is oxymoronic. Nobu Waikiki was by far the best Nobu experience I’ve had. I’m sure it didn’t hurt that Mr. Nobu himself was actually at the location the night we ate there :). As usual, the staff was more than accommodating and my waitress helped me figure out what I could eat without going into anaphylactic shock. What I ended up ordering was a fresh heart of palm salad (What a treat! Heart of palm is so hard to get fresh, its usually canned), yellow tail Sashimi, and then cooked scallops. The presentation at Nobu, Waikiki is amazing. Everything was very balanced and appetizing. The salad and sashimi were particularly tasty. 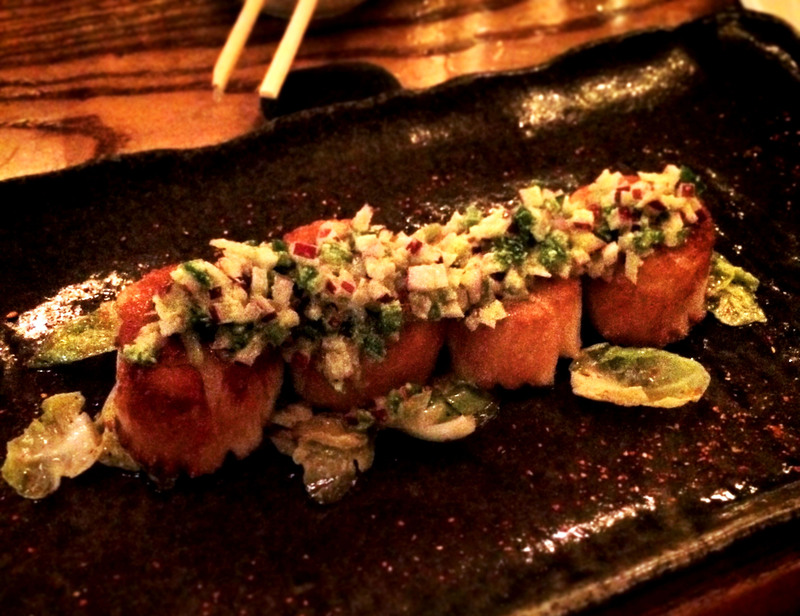 The scallops, paired with jalepeno salsa and brussel sprouts, were better than average. I was craving something refreshing to drink, so the bar tender made up (on the spot) a beverage called the raspberry refresher. It was the perfect mix of vodka, muddled raspberries, and lime. I usually don’t like sweet drinks served in Martini glasses (I’m sorry, but a Martini glass is made for something dry and sophisticated- with lots of olive juice), but this drink was the perfect blend of clean, citrus, and a dash of sweet. Great job! So concludes my five day series on rompers on Oahu. It was such a fun trip. I had a little taste of everything the Island had to offer. Just enough to know what I want to explore when I return 🙂 Definitely surf again! Try more local food spots. Hike to some waterfalls. Revisit the North Shore. Kayak to Scylla and Charybdus. 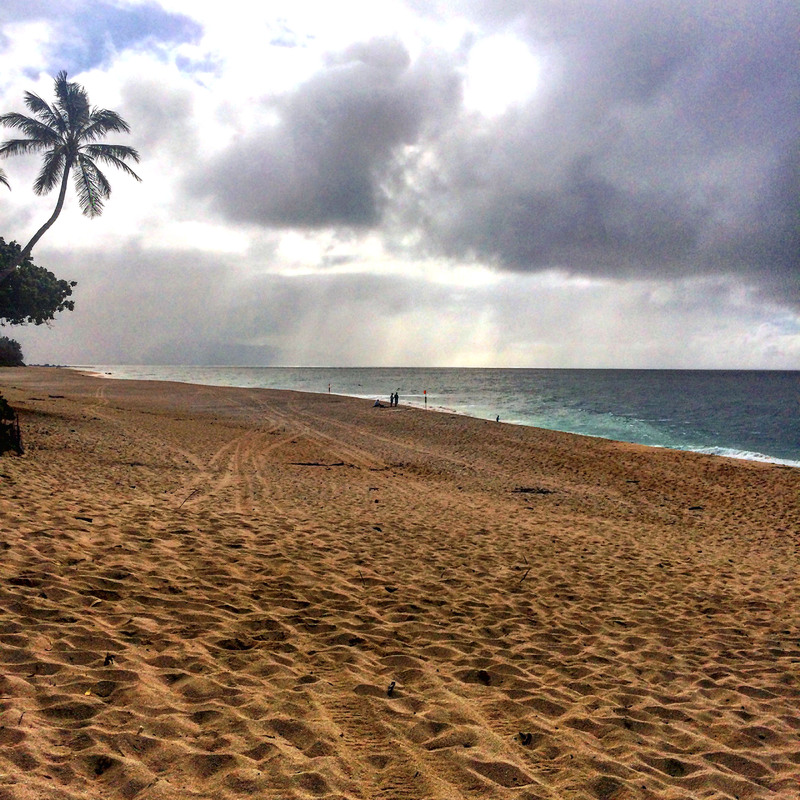 Sunset beach, North Shore Oahu. 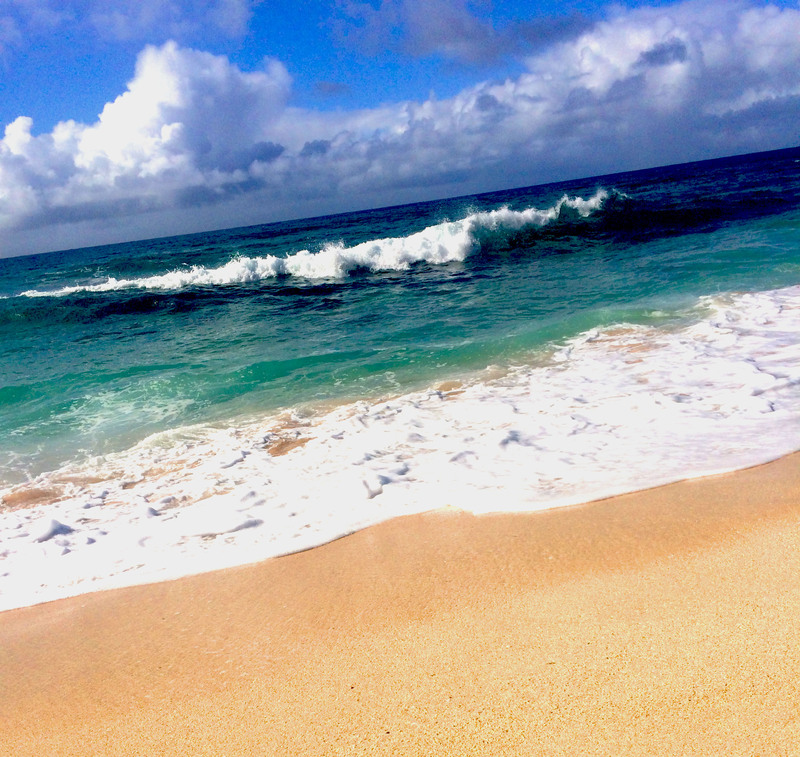 My favorite beaches in Oahu were on the North Shore- Sunset Beach and Makapu. 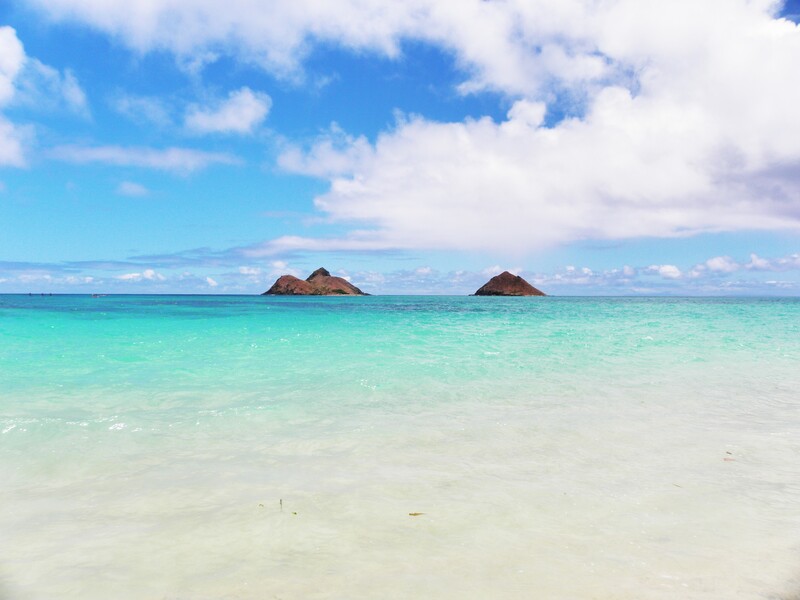 With all its beauty and glorious colors, Lanikai on the East takes a close second. 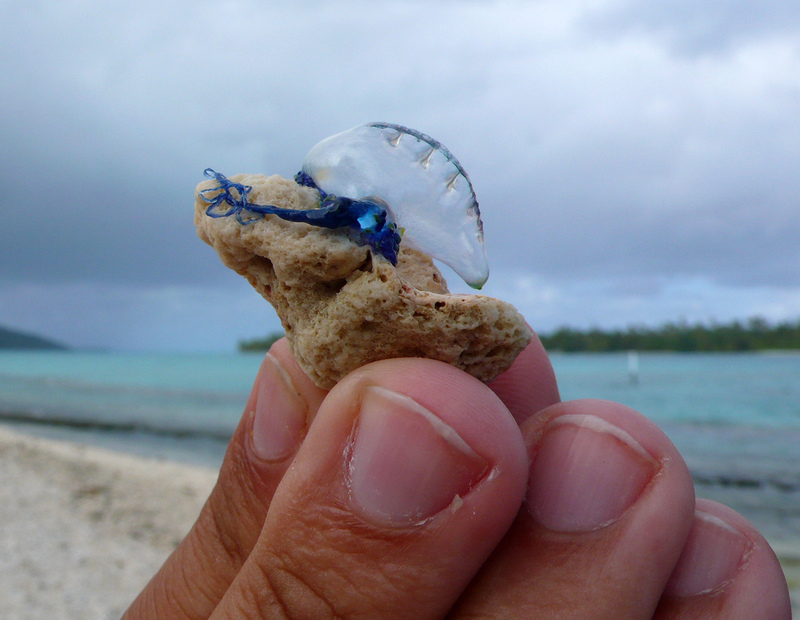 The ONLY thing about Lanikai that poses a little issue- it was full of Man-o-wars, and I was afraid of getting stung. I’m not sure that’s an issue there year round…. They Portuguese man-o-war may look pretty- or you may only see the stinger and wonder “whats that string?”. Whatever you do- do NOT touch! Photo taken from google images. Regardless of man-o-wars, the beach was great for laying out, and to swim in (for those brave souls who weren’t worried about getting stung- because the waters weren’t over wrought with them. To be honest, even I snuck in for a few moments here and there.) Once the towels are down and your over the man-o-war situation, this beach is seriously gorgeous. The greatest thing about all the Hawaiin beaches is that the water is a warm 80 degrees. Jumping in is still a refreshing break from the hot and humid air, but the water doesn’t bite you like it does here in LA. So many times during the year I sit at my desk and the memory of tropical waters will pop in my head and say “Hi, come back and see me”. 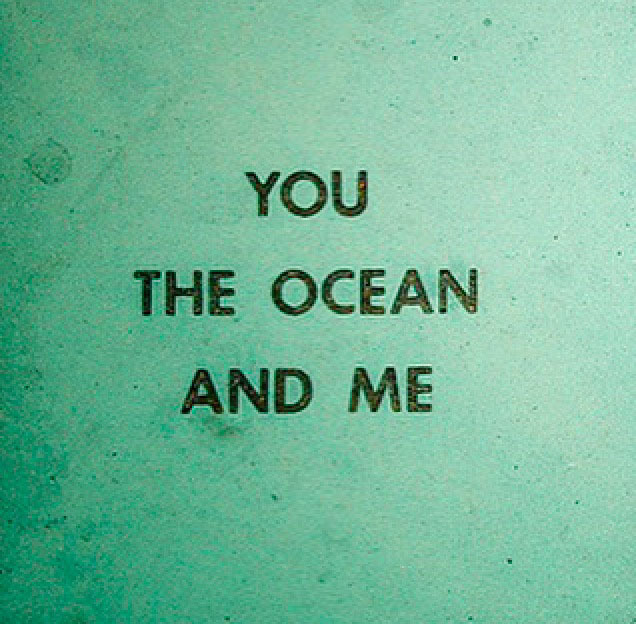 I love the sea. The soft sand. The gorgeous blues and greens. Oh and don’t forget the lack of buildings over 8 feet tall (well, Waikiki has those, but outside Waikiki and Honolulu not so much). Although LA/Cali has some beautiful beaches, none of the water in LA kisses your toes the same way as the surf in the tropics. So happy I took many moments to really absorb what was around me. The warm sun, the soft white sand, the thick salty water, the lush greens. Paradise. Tomorrow will conclude my week of rompers in Oahu. 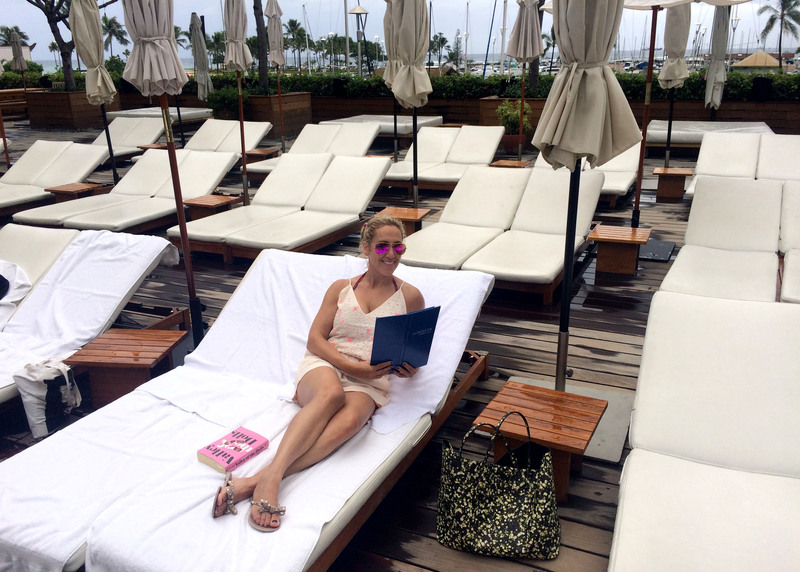 I will also be reviewing Nobu Waikiki….. 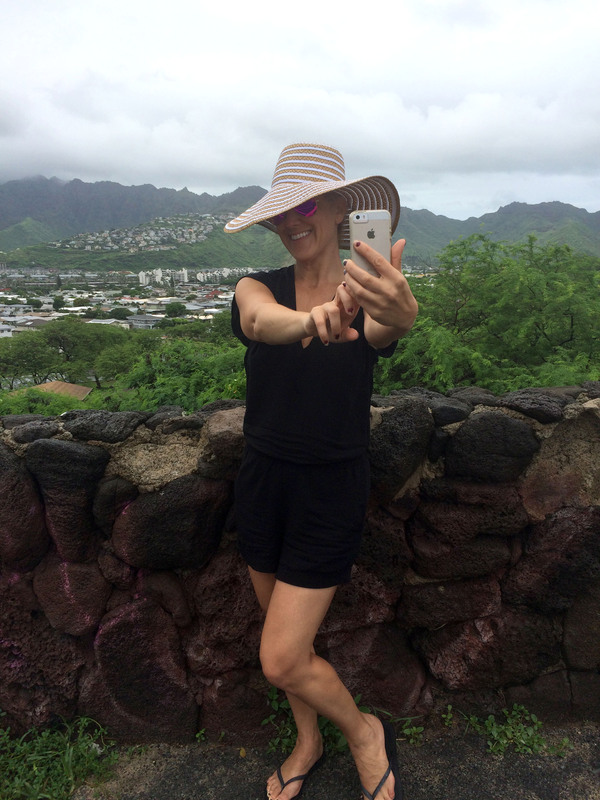 Taking a selfie with a backdrop of Hawaii Kai, a small town 30min from Waikiki. Still loving this hat. Thanks Danielle!! 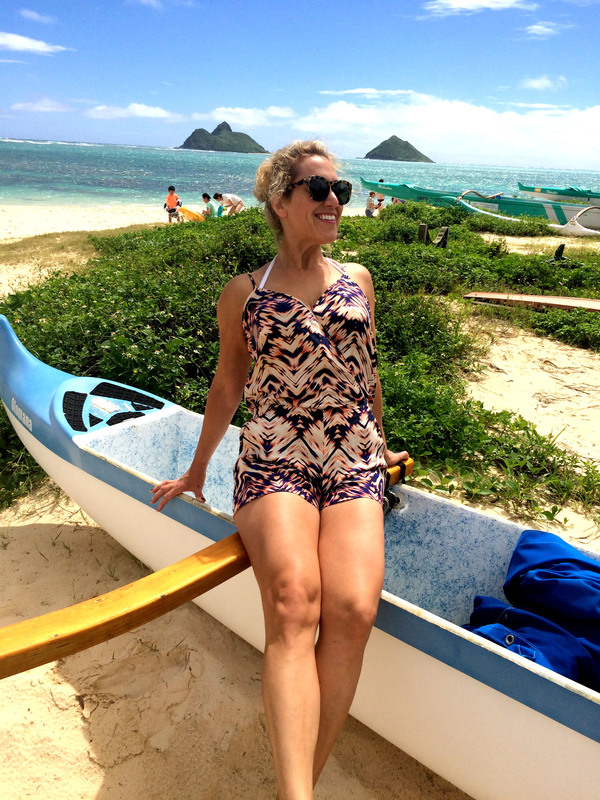 This Equipment romper was perfect for hiking in Hawaii Kai and then crashing into bed for a nice long nap. My Gucci cross body was the perfect companion on this trip. Small enough that it wasn’t in the way, but big enough to hold necessary items. Breakfast anyone? First one at the pool after the morning rain cleared out the humidity. Tote: Givency. Nothing as great as reading poolside with no time limits, no agendas to attend to, or places to be. Sunnies by Ray Ban. Love this cute pink hat I found in the shop by the pool. Stay tuned for tomorrow’s romper! Beautiful Waikiki beach in tropical Hawaii. Image copied from google images. 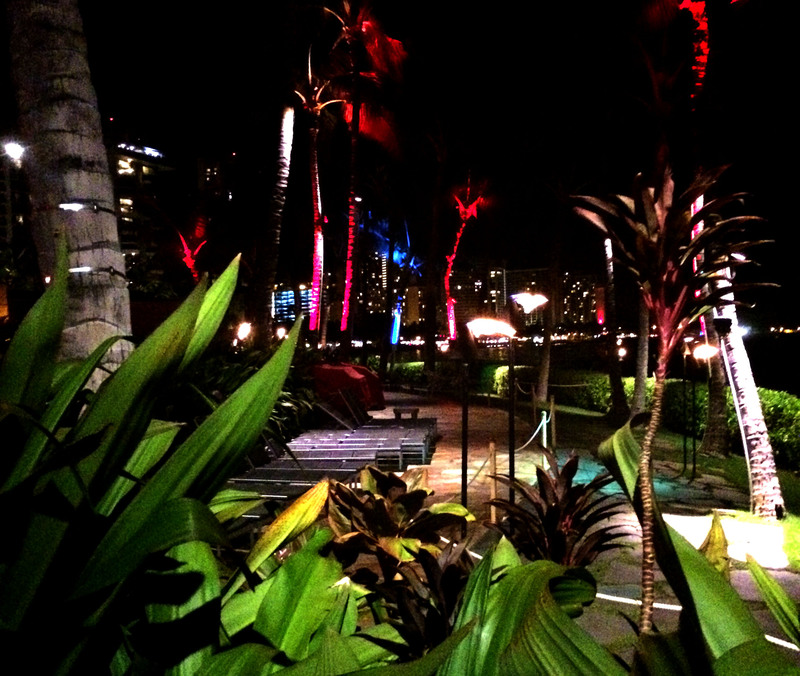 This is the beginning of the strand from the Hotel Modern in Honolulu. The water is really this color!! This Joie romper is super comfy and versatile. It can be dressed up with a pair of wedges or worn to the pool with flip flops. The perfect piece for a casual date or day out with friends. Our Room was bright and sunny and came with sarongs! 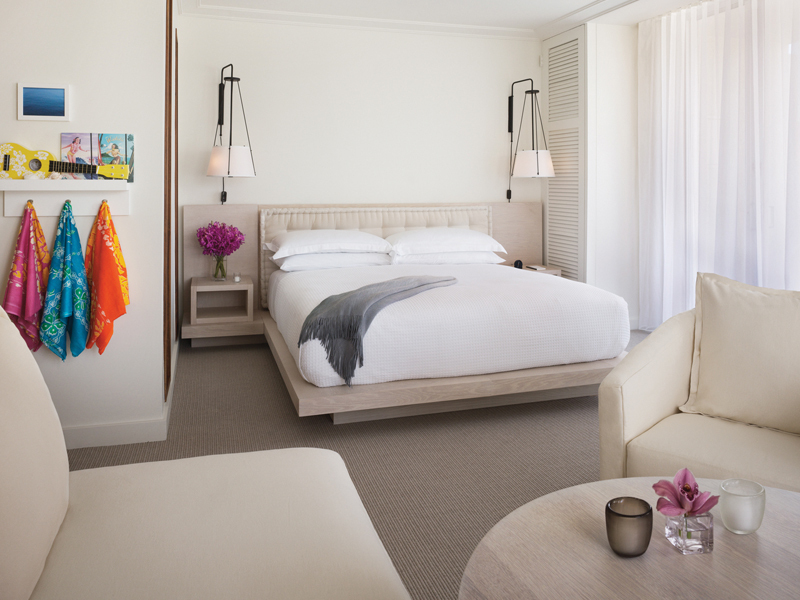 Chic and unpretentiously elegant, The Hotel Modern Honolulu was the perfect place to stay. The rooms feel fresh, clean, and comfortable. The staff is outstanding- so nice and accommodating. There are two pools, a wading pool on the top floor and a swimming pool below- both bar accessible for those of you craving that mid day coconut mojito. The beach and boardwalk is only steps away. The Modern is strategically located. Its far enough away from the hubbub of Honolulu/Waikiki that one can relax and feel that zen hawaiian vibe, but if you crave a local restaurant or shopping, its all within walking distance. There is a seemingly never crowded exercise room for those that would like to use it- with TVs, working equipment, and weights. The hotel hosts The Library, a lounge bar with live music. 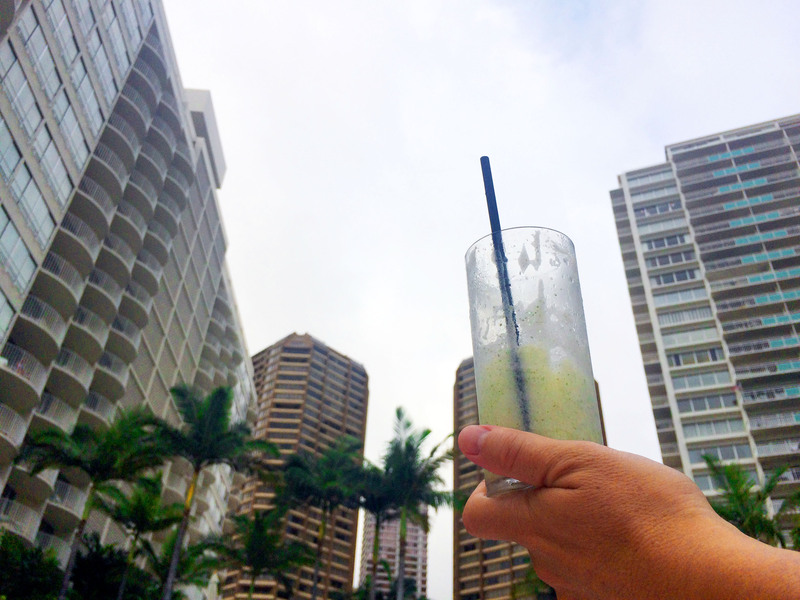 Also a rooftop bar voted the best in Honolulu exists above. The view from the partial ocean view room. The hotel hosts a fireworks show every friday night, visible from the balcony of your room! Its like your own private showing, up close and personal! So cool! **Tip– the rooftop bar is small and hot. The decor is artistically enticing but honestly with its loud contemporary music and the fill of practically naked clad 21 year old “women”, this dance club feels less sophisticated and is more appropriate for those under 30. I felt very old in there. Stay tuned for tomorrow’s romper from Hawaii Kai. We just got back from Hawaii yesterday. Culture shock big time! I can’t believe how much faster the pace of life is here in Los Angeles. I don’t want to live in Hawaii- though it is beautiful- but I would like to maintain the relaxed state of mind. I wish I knew how. I even love the word “Island”. Look how beautiful it looks. ISLAND. 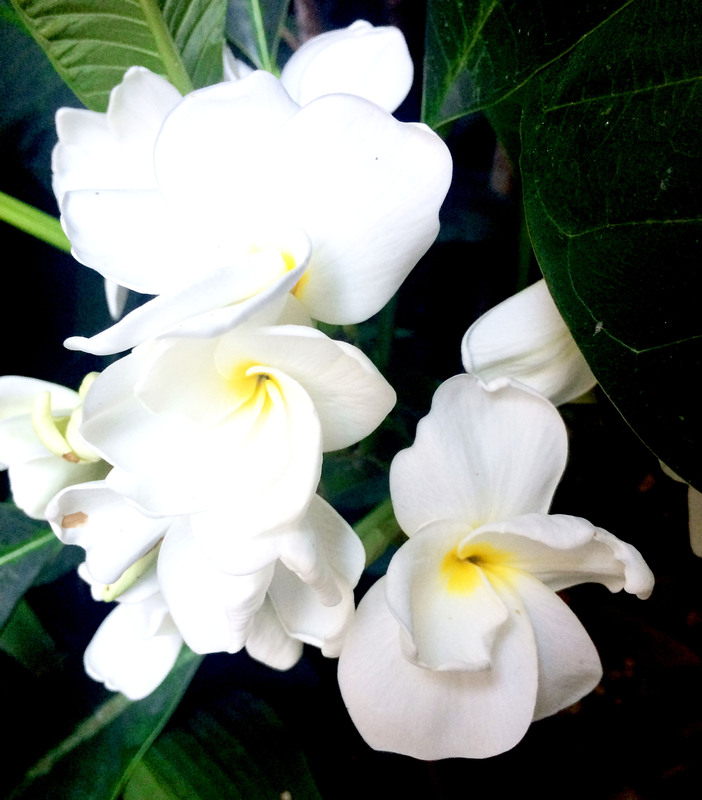 When I see it, I see flowers like plumeria and gardenia, and abundant amounts of plush greens. mmmm. Smells so nice. If I ever have a daughter, I’d like to name her Isla. 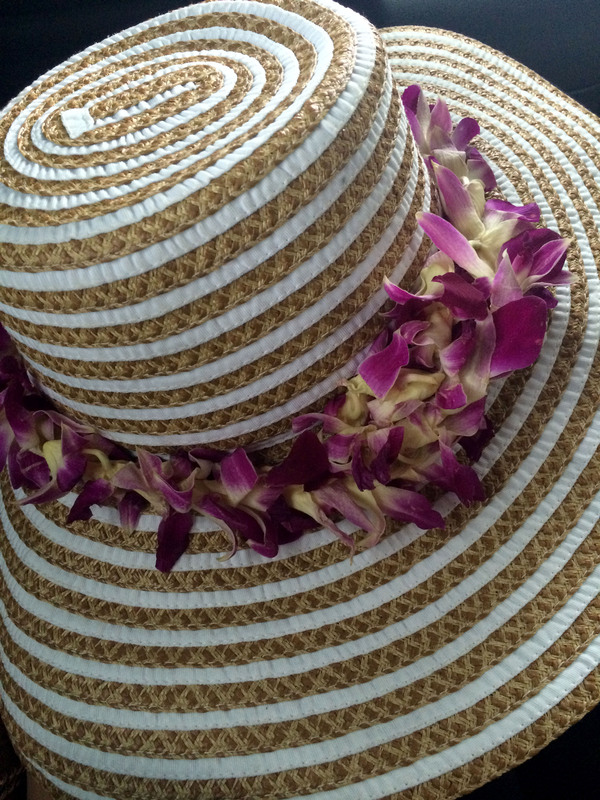 After this visit to Oahu, I have now been to four of the five main Hawaiian Islands. I love them in this order: Kauai, Oahu, Big Island, Maui. 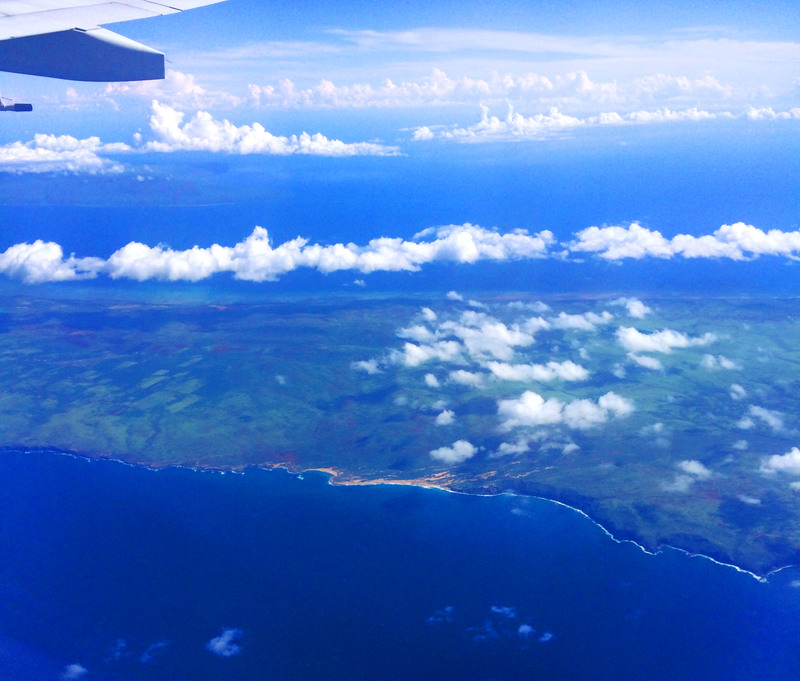 Still one day I could see Molokai and Lanai (which I believe used to be a Dole pineapple plantation. I mean the entire island). Enjoying a coconut mojito poolside at The Modern in Waikiki. 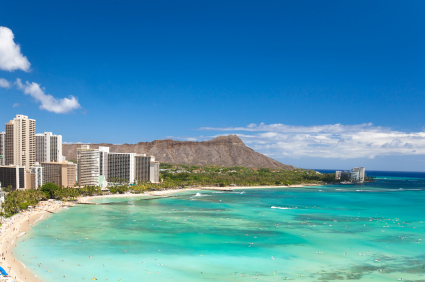 Oahu, in my opinion, is a good mix between an island getaway and staying in a large bustling city. Honolulu comprises most of the island. 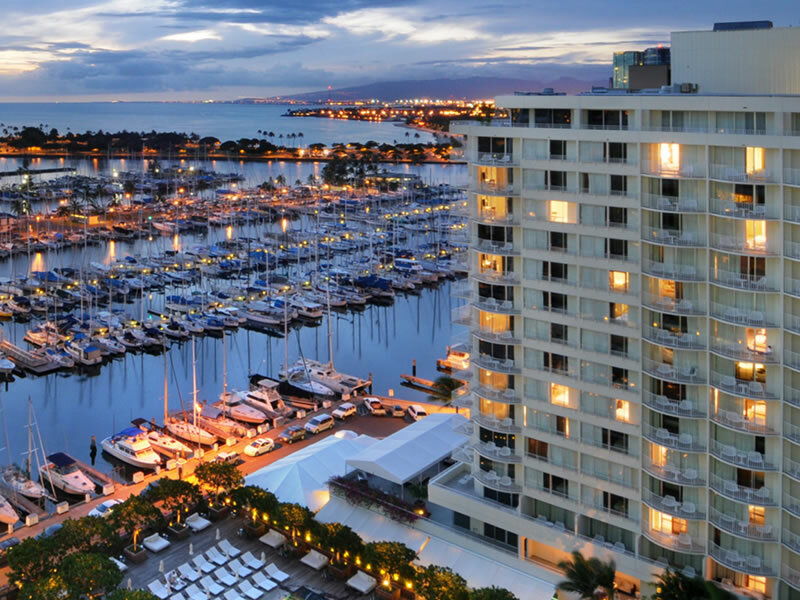 Skyrocketing resort hotels kiss the tropical blue waters of the Pacific and outline Waikiki. We loved eating at Goofy’s- a local cafe close to but just far enough away from the main hub of hotels. The Nobu in Waikiki is by far the best Nobu I’ve been to. As per usual the drinks were amazing and there were way more soy free options at this particular location than the others. Yay. We stayed at The Modern. The name describes it perfectly- modern. I highly recommend. It felt fresh and clean and unpretentiously upscale. The food was mediocre, but there are plenty of places to venture outside the hotel for meals- most walking distance. We prefer to explore and eat like locals when traveling anyways :). The hotel pool was exquisite and the beach boardwalk is just a short walk away. One of my favorite things in Waikiki was taking a surf lesson at Hans Hedemann’s surf school. I may have to blog about that independently because it was AMAZING!!! And yes, I stood up on the board- although only briefly. hahaha. This beautiful non-threatening beach is called Pipeline. During the winter, when pipeline is more awake, pro surfers gather from around the world to compete. After Waikiki we visited Hawaii Kai- the home town of MSM’s best friend. 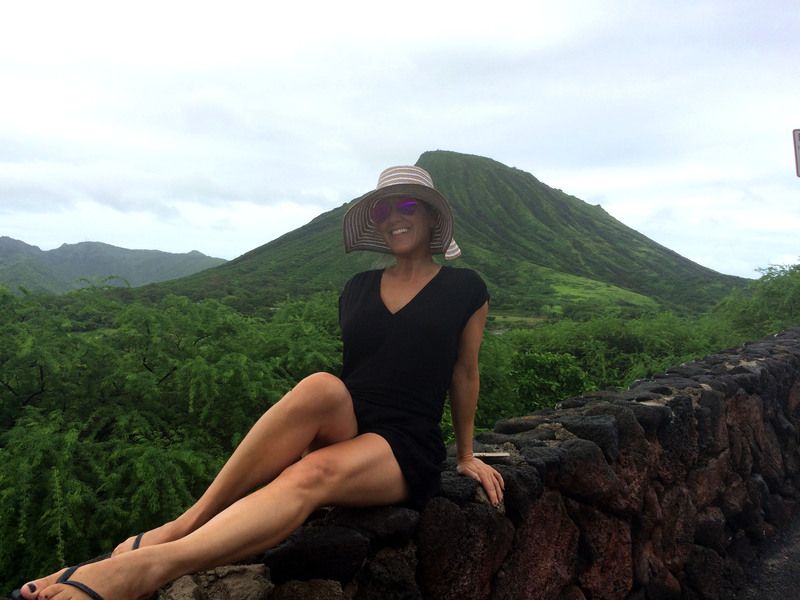 I loved Waikiki, but it was nice to explore and discover the local’s Hawaii. We played on the beach on the North Shore, got to see a sleepy Pipeline (see photo above), swam with man-o-wars on the south, considered kayaking to “Scylla and Charybdis” (the waves were too choppy- but next time we’ll go), and stood in awe from the beauty of Maks- the local beach hang out and my personal favorite (photo below). Early one morning we hiked up an old dilapidated train line to catch a view of Hawaii Kai and most of Oahu- which was both fun and challenging. The view was a perfect reward, as was the fantastic crepe at the local breakfast cafe. 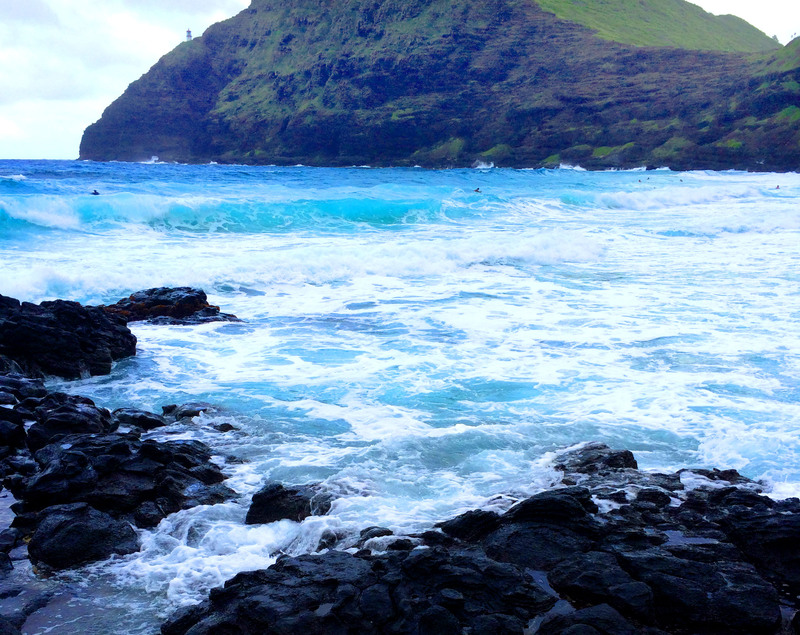 There are tons of hikes in Oahu, but we mainly beach hopped. I’d love to go back for more hikes. But first I want to hike Napali on Kauai. Maks. SO gorgeous the pictures do no justice. Notice the tiny little lighthouse far in the distance. I loved the contrast of black, blue, and green. Heaven on earth. 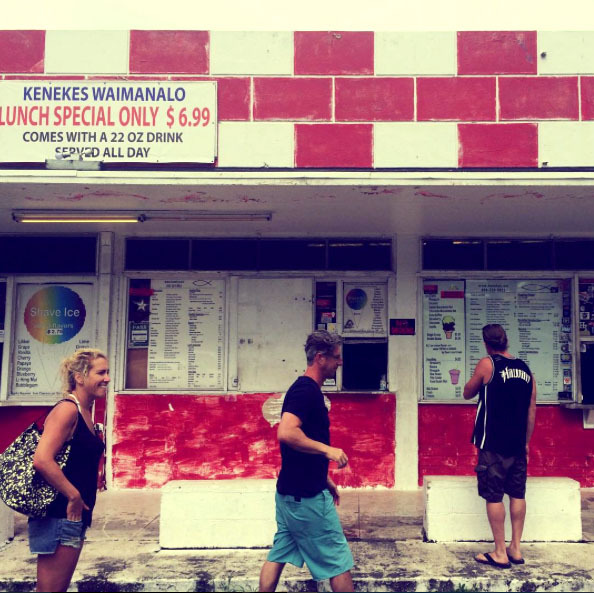 So apparently one thing you can’t miss next time your in Oahu is a “plate lunch”. There’s like 50 choices of meat (mostly pork, and chicken) over rice and macaroni salad. I have to admit it was pretty yummy (minus the mac salad bc lets face it, mayo is nasty and should be outlawed). A local plate lunch tastes delicious after a long day of playing in the sun and salty water. Looking like a flashback to 1970, this shack recently served us a perfectly delicious plate lunch. Photo taken by the talented Catherina. If I had packed for this trip on my own, I would have thrown in only denim shorts and t shirts. Luckily Danielle helped me pack- because her picks couldn’t have been more perfect. 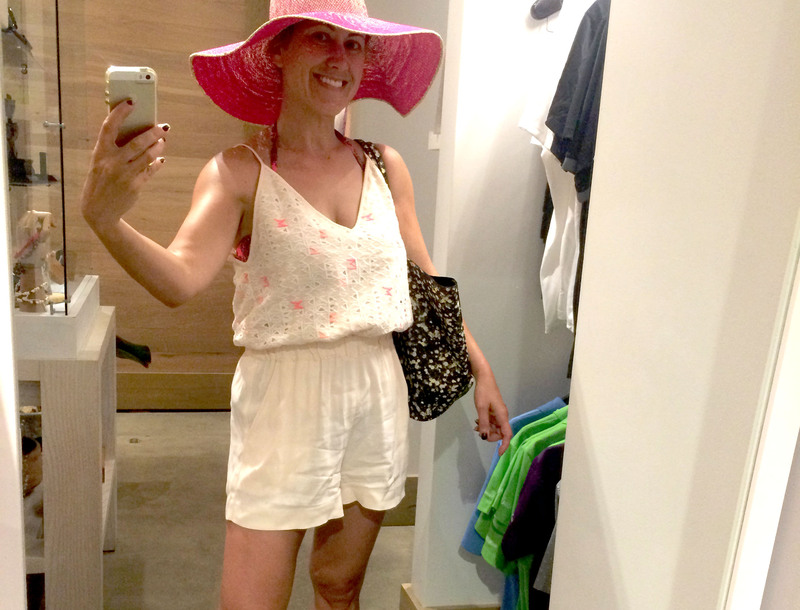 What better way to romp around Hawaii than in a romper?? Each day next week I will feature one of the rompers so you can see them all :). Photo borrowed from the salon’s website. Wow! That’s all I can say about 901 Salon in West Hollywood. Everything was WOW! From the swanky well decorated waiting room, to the ceiling mounted TVs over the wash basins, this place has it all. Recently I had received a very unfortunate hair cut (can we say “mullet”?) I eventually named it the “bi-layered bob”. It was bad. There was no styling I could do to save it. 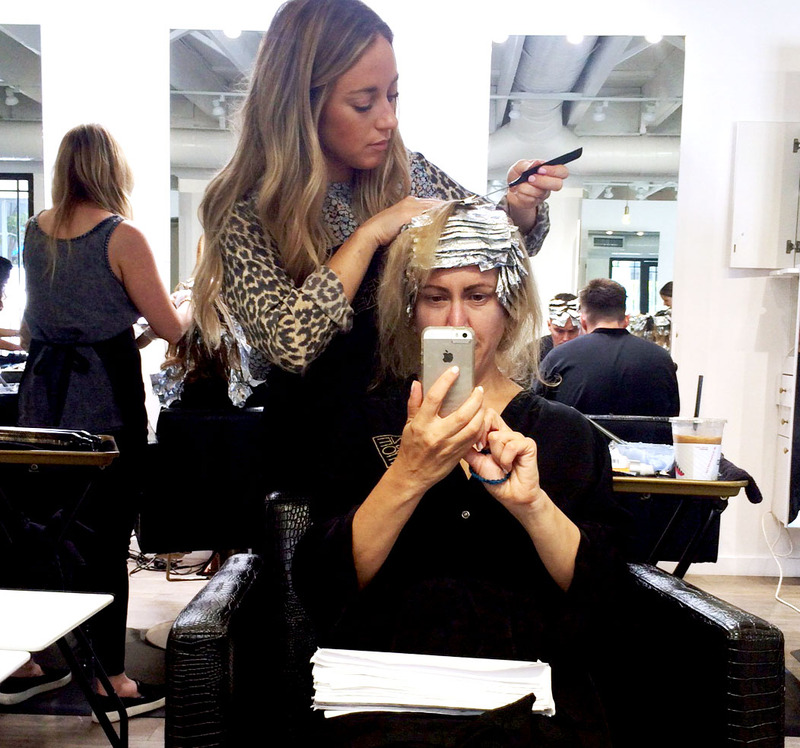 So Danielle connected me with her long-time hair stylist, Morgan, at Nine Zero One in WeHo. When I called and made my appointment with Morgan, I had no inkling of an idea about the adventure upon which I was about to embark. Turning onto Melrose Place I thought “oh no!” because parking in the area is horrendous. There is NOTHING I hate more than wasting my time finding a parking spot. But the salon offers affordable valet parking- smart! So that was a “no issue”. I walked up the stairs to a non-threatening reception area. 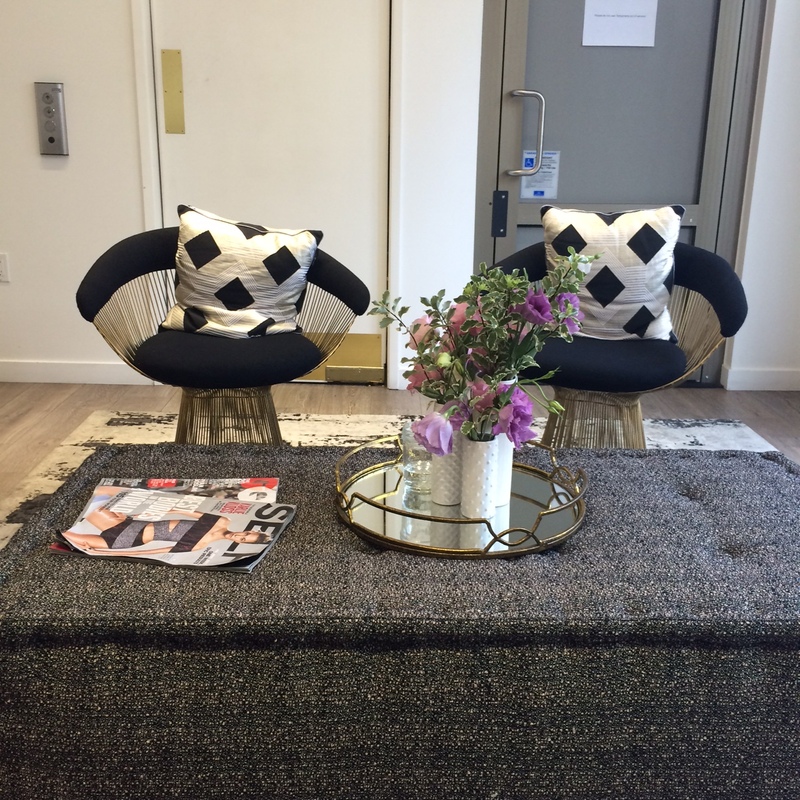 Because this salon is a pretty big deal in LA, I wasn’t sure if I would meet the front desk and be confronted with rude snobby receptionists. Impressively my reception was a nice one. The decor of the entrance is clean and simple. There’s a wall of products separating the area from the rest of the salon. Shortly after checking in I was escorted into an elegant waiting area. This is where things started getting fun. First, I’m pretty sure I had a conversation with Blake Lively about her cherry apple red Celine handbag (and how she loves it and has it in three different colors- slightly jealous I am). Secondly, the waiting area is decorated better than most of my friends’ apartments. Which, by the way, says a lot because, my friends have great taste and ridiculously amazing decorating skills. This room was donned with gorgeous shades of grays (not 50), uniquely textured fabrics, and pulchritudnious custom light fixtures. I took pictures for ideas on how to decorate the walk-in closet in my new home -that I haven’t purchased or even found yet. Ha! This picture doesn’t begin to show how beautifully this waiting room was decorated. I sat in the waiting room for a moment, watching some other gorgeous handbags come in and out; a classic flap Chanel in navy, an interesting open weaved Chanel hobo shaped bag with fringe (big this season, I’ve been told). There was a vintage inspired crystal beverage dispenser with iced cucumber infused water to refresh my palate. I’m telling you, this place stops at nothing. Morgan came to retrieve me and take me to her chair. Judging by her exquisite hair and awesome outfit, I immediately knew she was going to be amazing at her craft. We talked for a bit as she examined the texture and color of my hair- she politely avoided mentioning anything about the horrendous cut. I explained “I want fresh color. I don’t want to be ‘in the middle blonde’. I want to stand out with gorgeous hair. I want a hair makeover. And….can we also do something about this horrendous” and honestly before I even finished the sentence Morgan interjected “you need hair extensions”. Seriously, she read my mind. I knew it. This woman is on top of it! Morgan foiling my hair for step one of my hair transformation. Morgan definitely knows the art of hair. 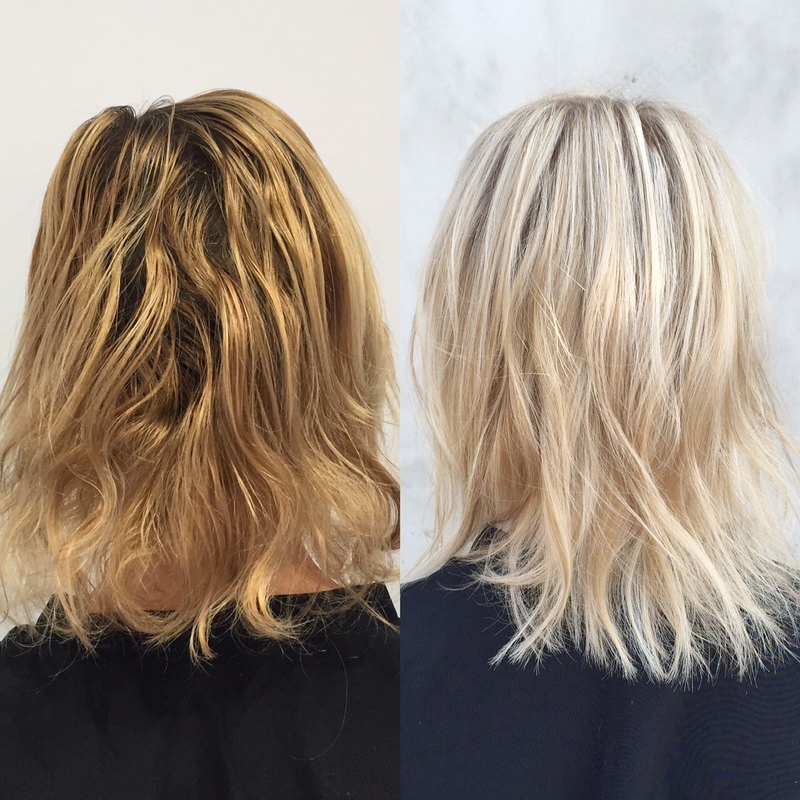 My blonde was transformed from Bimbo to Bergdorf in less than three hours. I LOVE it! She succeeded in giving me what every other hair stylist told me I couldn’t have. Not only is my hair a beautiful shade of baby blonde, its HEALTHY. The products sold at Nine Zero One are nothing shy of miraculous. Morgan said these products, imported from Italy, were like “Chanel for the hair”, and she’s absolutely right. A little goes a long way, so the products are also priced very nicely. Nine Zero One is expensive, but not overpriced. Its well worth every dime. Before (left) and After (right)- Photo NOT retouched. I went from Bimbo to Bergdorf in less than three hours! Now that my hair is a great color and texture, I will return for my extensions. More on part two of my hair transformation later.